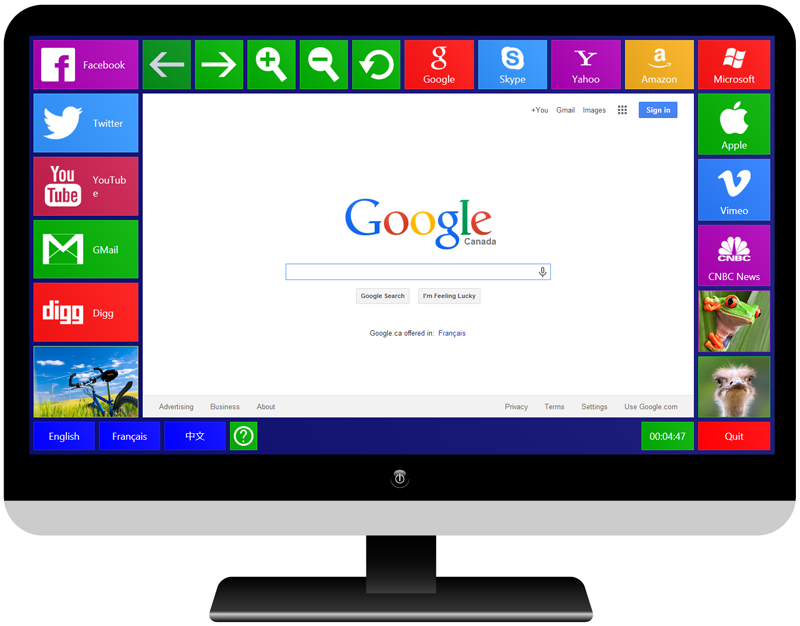 InTiles for Windows makes it easy to turn a PC into a secure public access Internet kiosk. It is ideal for schools, museums, hotels, churches, and libraries to reliably and elegantly give access to web content. You can easily add or modify languages giving you complete control over the text displayed to the kiosk users. 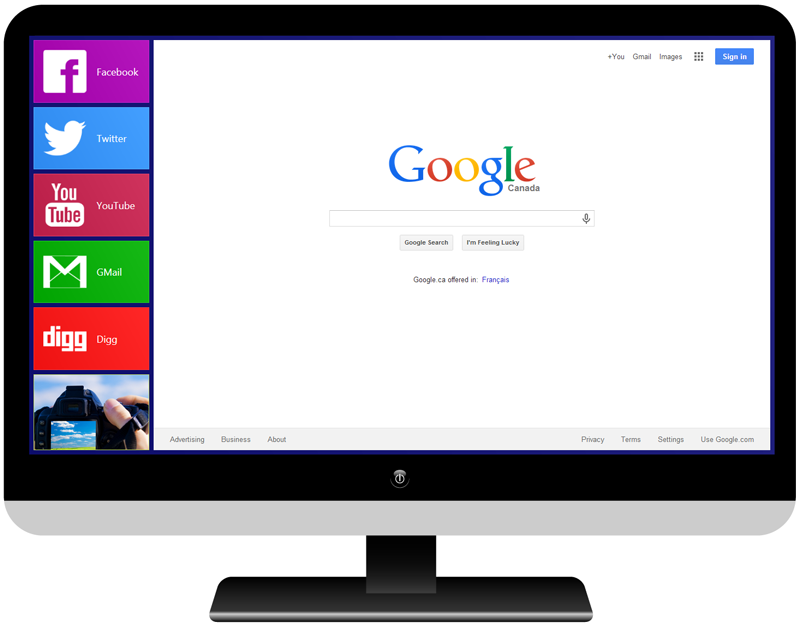 You can choose between two browser engines: Internet Explorer (IE) or Chrome. A top panel with a title and a logo. 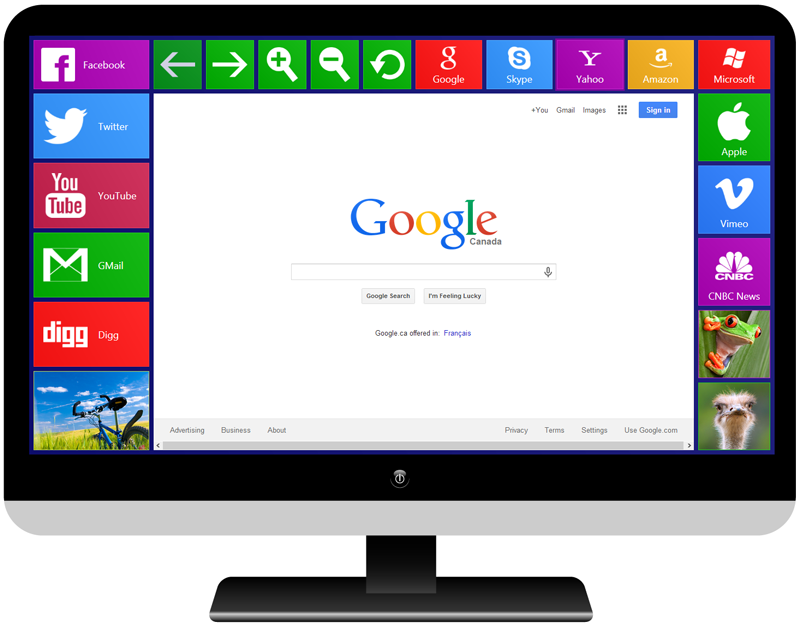 A browser panel with a classic browser toolbar plus up to 10 custom buttons. A left panel, a right panel, and a bottom panel, each with up to 10 custom buttons. Quit user session, Show keyboard, Hide keyboard, Switch language. Go back, Go forward, Zoom in, Zoom out, Print, Reload, or Stop loading. Not react to mouse input, therefore used to display their content only, including as a timer. Custom buttons can display some text, an image, or both. 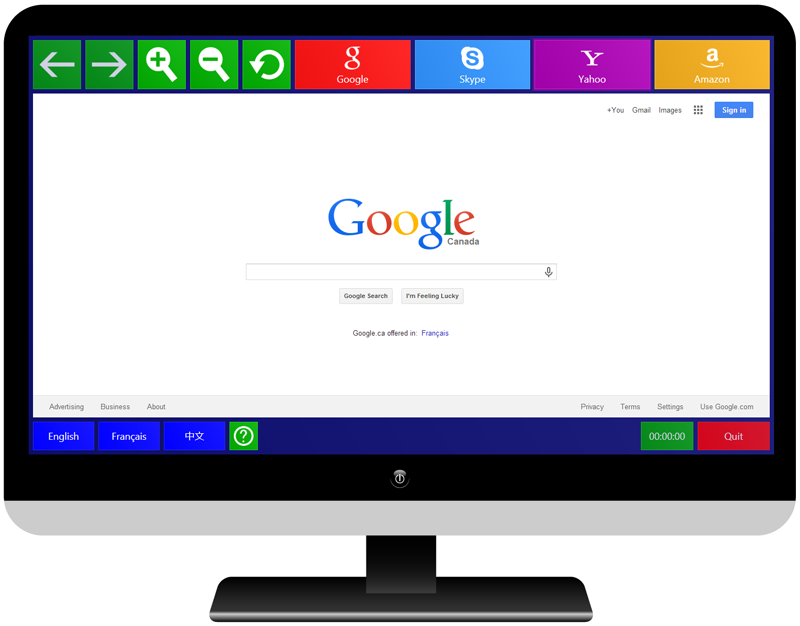 They can display live web content such as stock prices and weather. Custom buttons can use a global font name, font size, and text alignment from the Global appearance tab or they can have their own values. They can each have their own color. 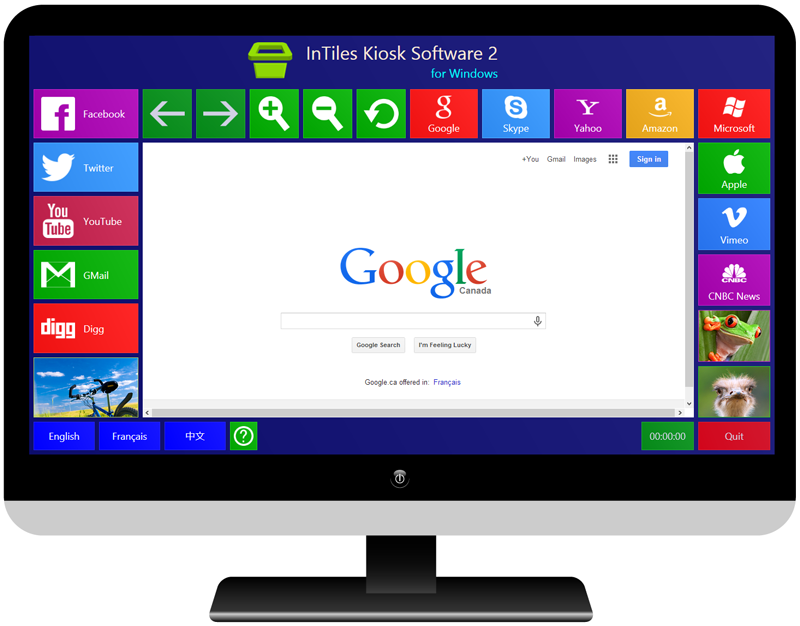 InTiles locks down Windows into kiosk mode to prevent unauthorized access to the desktop, applications, and folders. It starts automatically on reboot and deactivates undesired key combinations. InTiles integrates Windows built-in on-screen keyboard. The virtual keyboard will appear whenever the user taps on a text field (just like a tablet or a smart phone). This is a great feature for touchscreen kiosks. You can restrict access to specified URLs, for example your organization’s websites. When a session is ended by the user or because of inactivity, InTiles closes all browser windows, deletes cookies, cache, and browser history, and returns to the home page. User sessions can be limited to a specified duration or can be unlimited. A user can end a session at anytime by using a Quit button. A session is ended automatically if no activity is detected for a specified duration. The user receives a warning and can prevent the timeout.